served during the First World War unveiled at IWM (Imperial War Museum) London. As part of IWM’s Making a New World season to mark the end of the First World War centenary, African Soldier (21 September 2018 – 31 March 2019) is a new multi-screen installation by artist John Akomfrah that remembers the millions of African men and women who participated in the First World War, either as soldiers or carriers. Projected onto three screens, the artwork combines a powerful sound score, historic footage and newly created film, shot by Akomfrah in locations around the world that speak to the African experience of the First World War. The work is co-commissioned by New Art Exchange, Nottingham, Smoking Dogs Films and 14-18 NOW, the UK’s arts programme for the First World War centenary. In 1914, millions of African soldiers from British, French and Dutch African territories were brought to Europe’s western front, where they lost their lives alongside unknown, unheralded and undocumented African carriers. African Soldier seeks to commemorate these Africans who fought, served and died during the First World War. For the past three decades, Akomfrah, who is best known for his multi-screen installations, has used his work to comment on the legacy of colonialism. 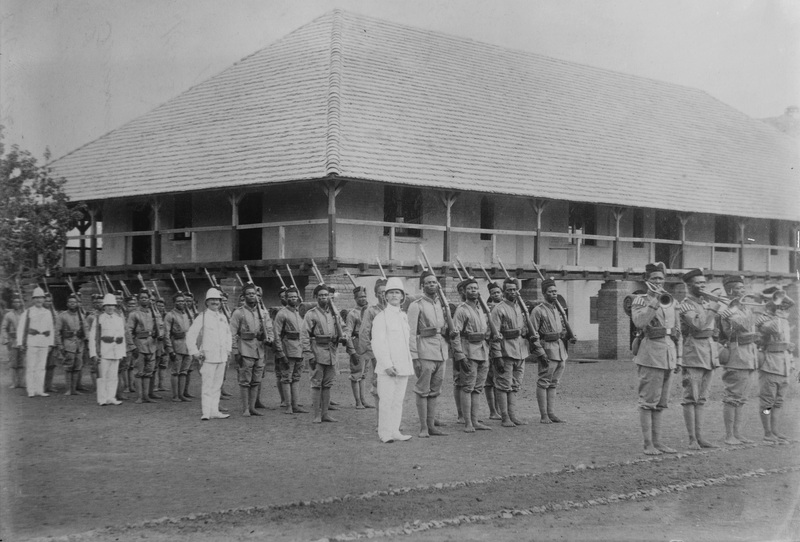 Since founding the influential Black Audio Film Collective in 1982, his work has taken on a multi-layered visual style that fuses archival material and newly shot footage.Continuing this practice, African Soldier will see Akomfrah use IWM’s rich and extensive film archive to tell some of the lesser known stories of the First World War. African Soldier will be presented for the first time at IWM London as part of IWM’s Making a New World, a season of exhibitions, installations and immersive experiences at IWM London and IWM North in 2018. The free season will explore themes of remembrance and how the First World War has shaped the society we live in today. Following its presentation at IWM London, African Solider will be shown at New Art Exchange from September – December 2019.